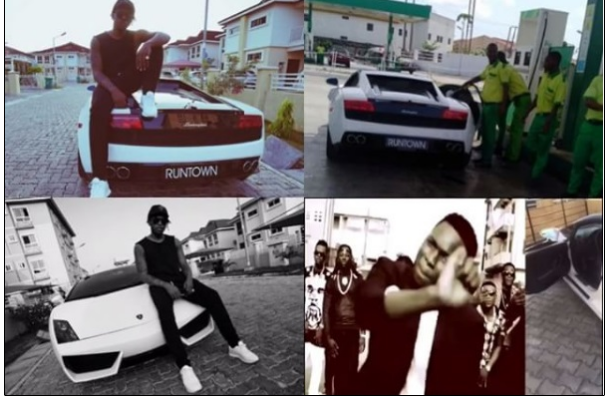 In 2014 when Nigerian singer Runtown released the smash hot single, ‘Gallardo’ featuring Davido, little did he know that he was going to own a car by that name in future. 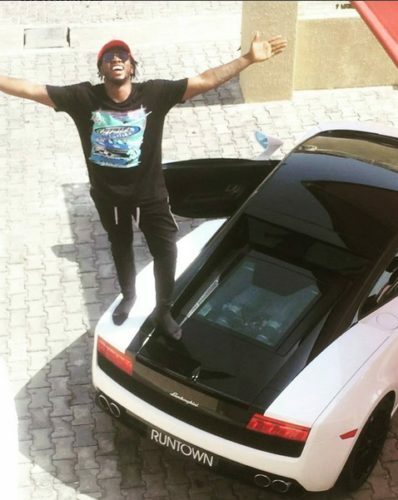 Then he followed it up with a prophetic viral punchline in Wizzypro’s ‘Emergency’ where he said ‘Ogini, I woke up in a Lamborghini’. Right now, the Eric Many frontline act has just acquired a brand new 2013 Lamborghini Gallardo. The new whip valued at 303 Million Frances CFA million is a unique and extravagant super-car that goes from 0 to 60 mph in just 3 seconds with a V10 engine, ceramic brakes, adaptive damping system and excellent transmission system. His single “Mad over you” has skyrocketed his music career as the song has gain massive airplay and positive reviews.